So I was asked by Simplicity Pattern Company to do an Instagram takeover during the week of Nov 12- 17. I was so humbled and honored that I would be asked to run their page for an entire week. That says something! Wow! I shared 6 photos and loads of videos on instastories where I shared my entire creative process from beginning to end. I even took the audience on a field trip to the fabric store for a deeper dive into my creative process. Any who, I knew that when I took over, I wanted to take a different approach from what others in the past have done. I knew that I did not want to make it all about me, but to bring along everyone that has ever supported me and highlight them as well. I also wanted to make sure first and foremost that the people that I shared in the instastories were as diverse as possible; different ages and backgrounds. I wanted EVERYONE to feel like they were part of this amazing brand. I think that everything I sought out to do, I accomplished just that and I hope that everyone that followed along, felt that. So let’s move forward with the jacket! I wanted to create this jacket for a while now. The khaki is not a color that I would typically gravitate towards, but the unexpected elements within the design is what drew my attention. 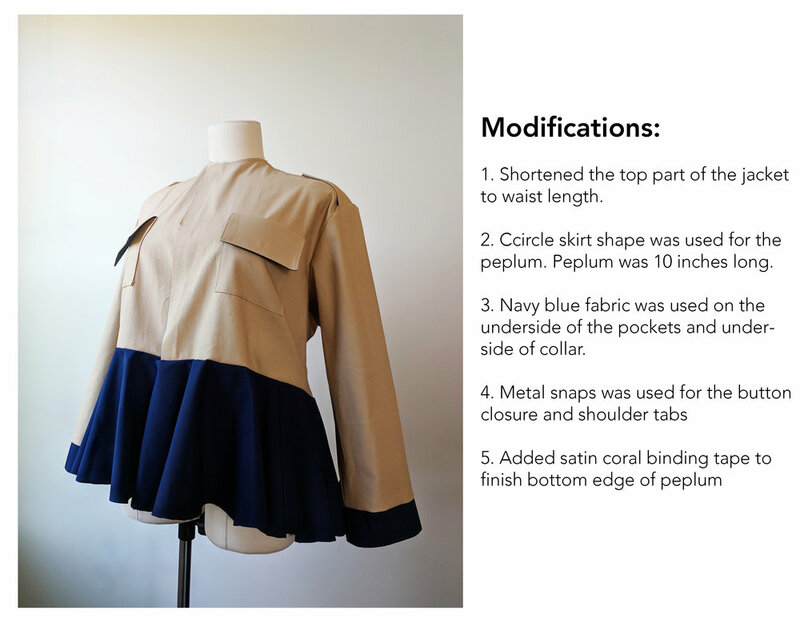 As you can see above, I made note of all the details that I wanted to make sure that I included in this coat. And what better pattern to use than Simplicity 8700. *Note: This jacket is very loose fitting. For this style jacket, I would go down a size than what you would normally wear. I wear a size 12 and would normally cut out a size 18 or large for most patterns. For this pattern, I would highly recommend that you cut a medium if you are my size. Special Thank you to Meg from Simplicity for entrusting me to take over the social media account and share my talents with your audience.